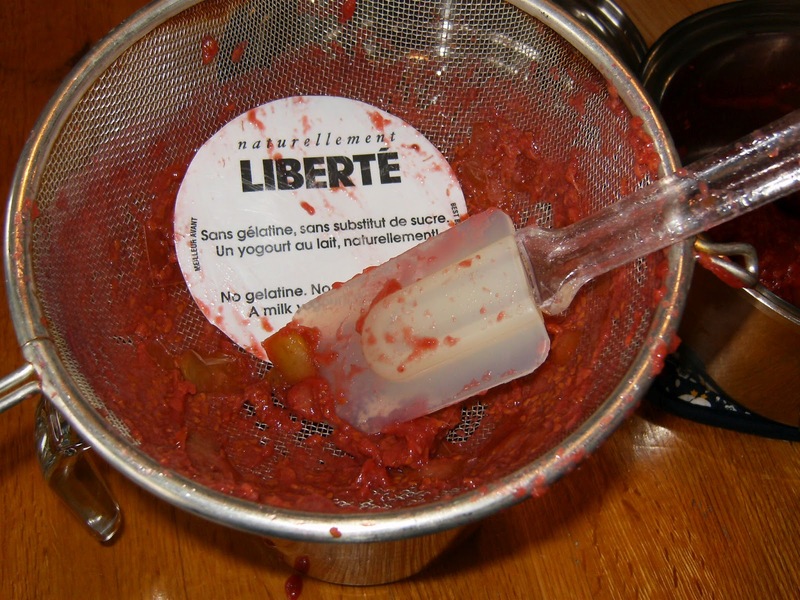 The slowest step: pureeing the apples and raspberries by pushing through a sieve. I must confess that I've had the right quantity of fresh raspberries frozen in my freezer (where else) for...a number of months. 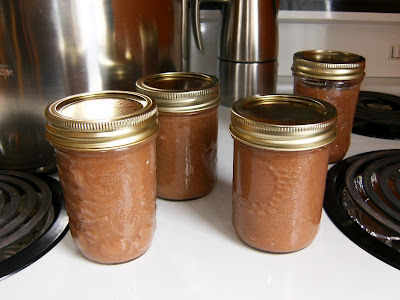 I figured all the sugar and butter and apple goodness would make up for at least some of the lost freshness. The curd is really delicious, although it has a bit of a surprising vegetable taste (like yams?). As suggested by the book, it can be used instead of custard in tarts, as filling in layer cakes, toast, scones, crepes, drizzled over fruits and used as whipped cream! 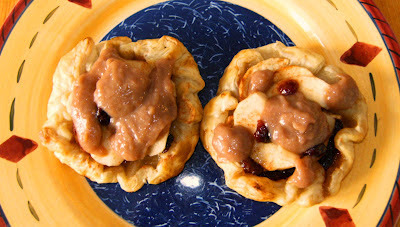 I tried it tonight on apple-cranberry puff-pastries, which really brought out the fruit flavours. Mmmm. Haven't figured out how to dollop this gracefully! I have some waiting for when you come over!